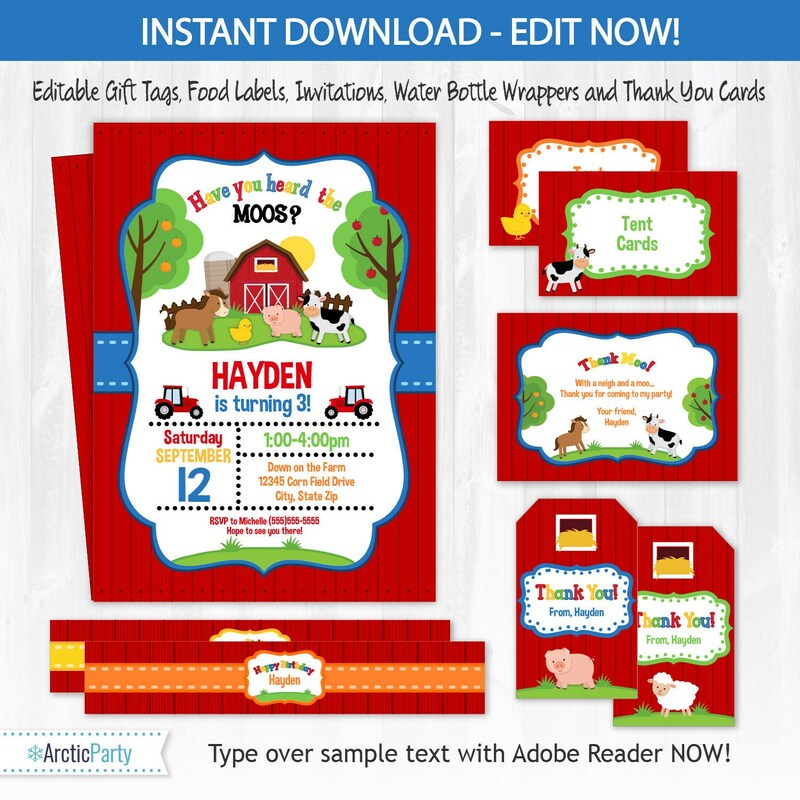 Farm Birthday Party Invitations - Farm Party - Farm Food Labels - Farm Invitations - Farm Thank You Cards - INSTANT DOWNLOAD! Edit NOW! 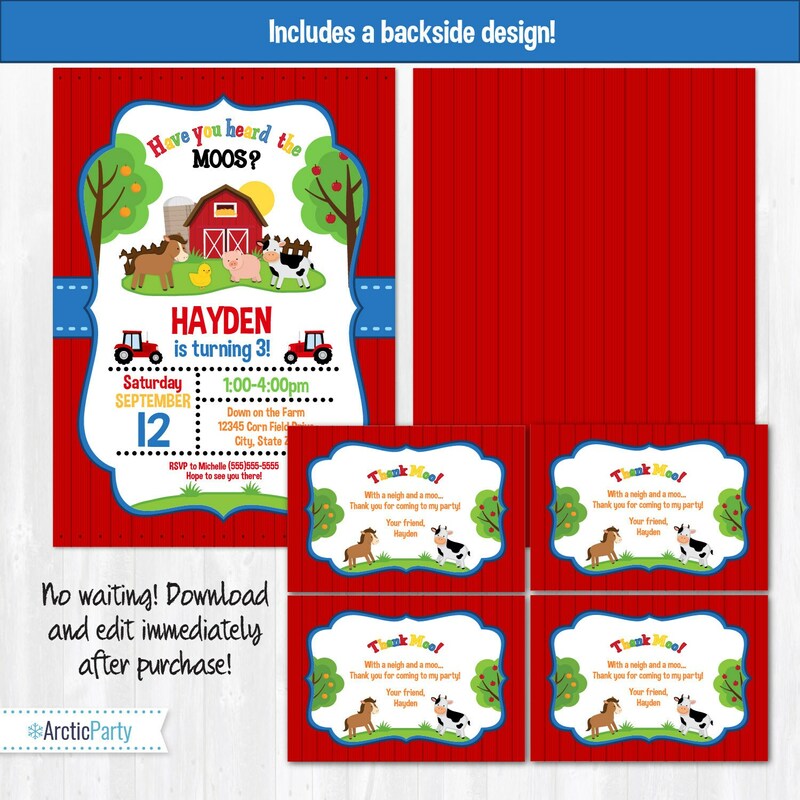 Farm Birthday Party Invitations Template plus matching party supplies! 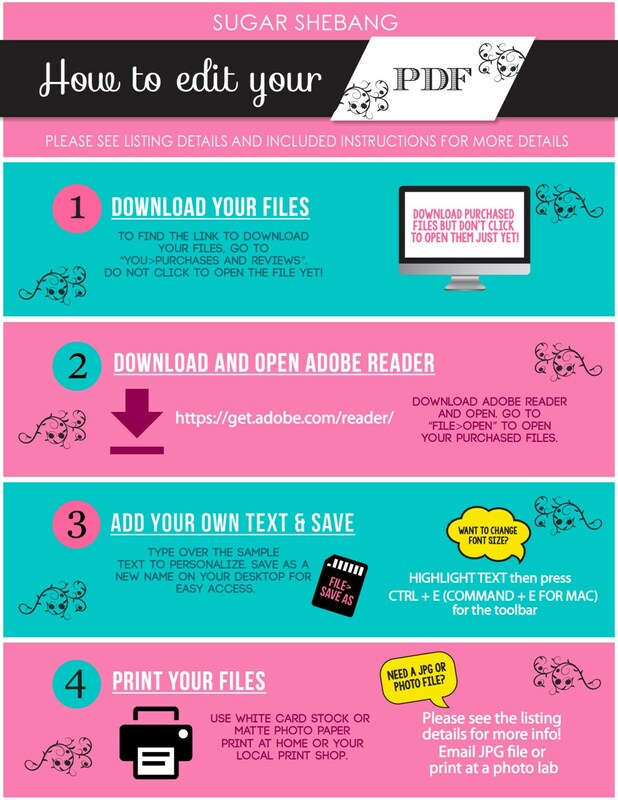 DIY INSTANT DOWNLOAD- NO WAITING!! Start RIGHT NOW and just type over the sample text (see what's editable below). Edit with the latest version of Adobe Reader. - EDITABLE INVITATIONS - Includes backside design! FILE FORMAT: Editable PDF file (includes single file with option to change to JPG). You will need the latest version of Adobe Reader. ♥"Have you heard the MOOS? "♥ is NOT editable. 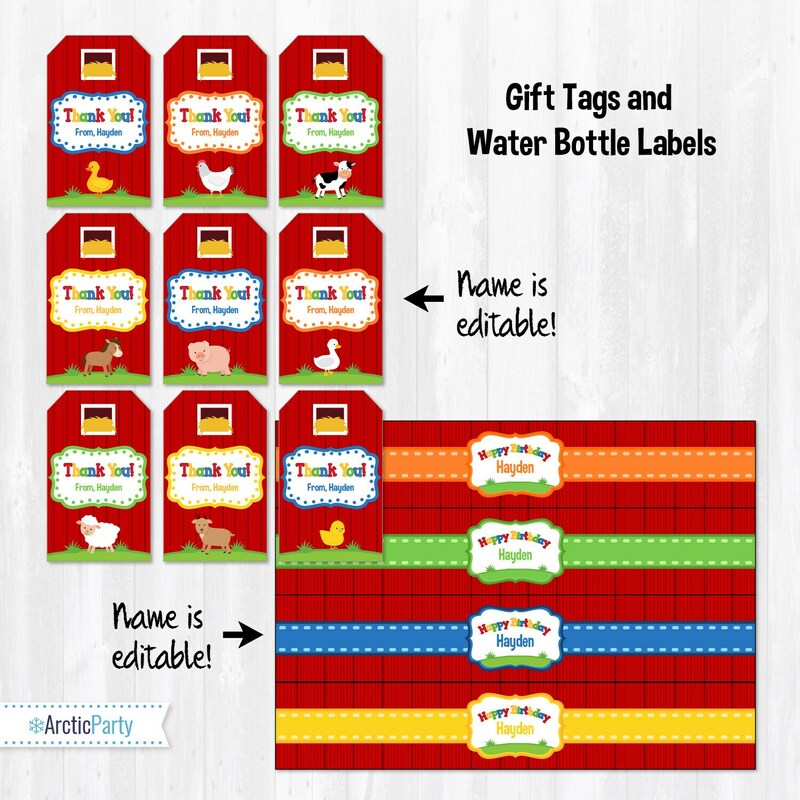 All other text IS editable.Please read included instructions for details (use Ctrl + E to open text bar to change font size). 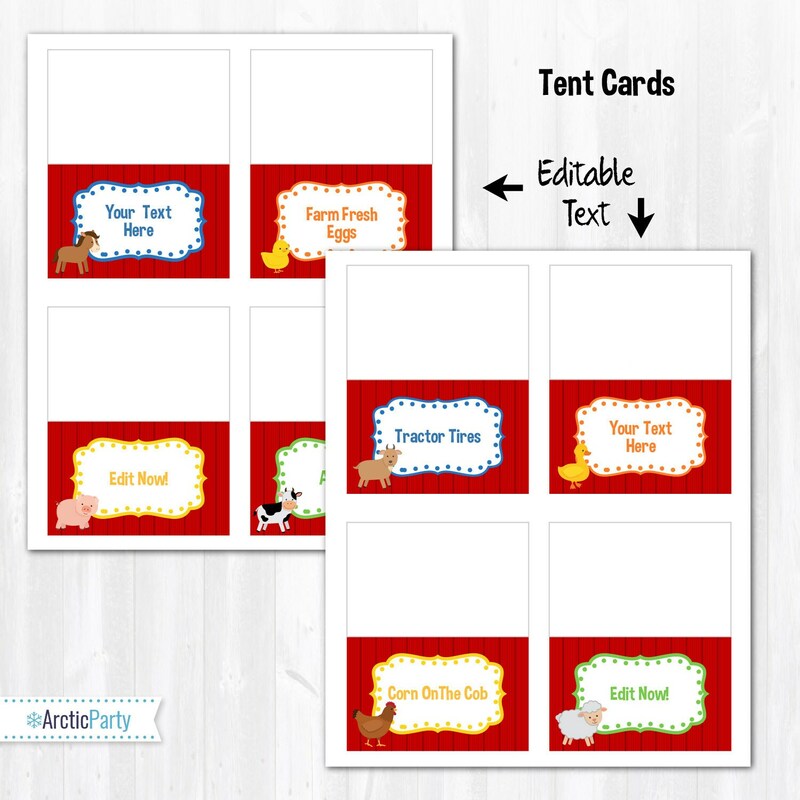 - EDITABLE THANK YOU CARDS - 4 per page (3.5x5) - "THANK MOO" is NOT editable. You will need to download Adobe Reader at this URL: https://get.adobe.com/reader/. The files will have text fields for you to add your own text. Please read included instructions for details (use Ctrl + E to open text bar). Files will ONLY work in Adobe Reader! Gray text boxes will not show when printed.